AEM's Plug & Play Engine Management System (EMS) plugs directly into a vehicle's factory ECU harness and requires no additional wiring or hardware. Windows� compatible software (2000, XP, NT, 98, 95, ME) makes the task of copying, viewing and manipulating data as simple as a click of the mouse. An integrated tuning wizard allows users to create a base map specifically for a car�s configuration, regardless of what type of injectors, sensors, coils or other changes have been made. 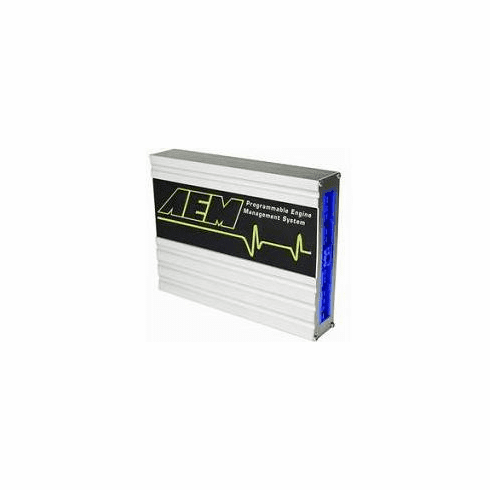 The AEM EMS's infinitely adjustable software allows tuners to program virtually any combination of engine control, power adders and auxiliary devices, and accurately delivers proper amounts of fuel and correct ignition timing for any boost level or operating condition.